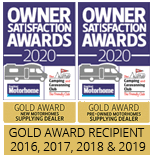 At Dolphin Motorhomes we pride ourselves on offering our customers the highest possible level of quality they deserve, in all areas of our business. We are a modern company but with traditional values. Here are just ten of the reasons to choose Dolphin. Although Dolphin has only been established since 2003, our business is built on very firm foundations. As a family business, our three directors Josh, Tom and Dave Willis have over 45 years' experience between them in the motorhome industry, including previous ownership of one of the biggest multi-site dealerships in the UK which Dave sold in 2000. 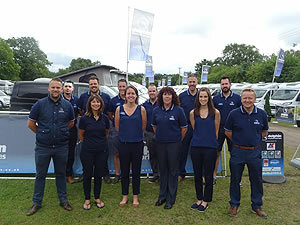 Our fully trained sales and workshop staff also have a wealth of experience; some of whom have spent the whole of their working life in the motorhome industry. Their knowledge and expertise has proved invaluable to us and our customers on several occasions. 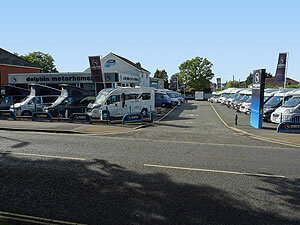 So, whatever your motorhoming needs, we are always on hand to offer you the best possible help and advice. Our unique dedication and expertise in ensuring our customers receive the best service possible, has enabled Dolphin to establish an excellent reputation in the industry from not only customers but from suppliers, manufacturers and also our competitors. This gives us all a great deal of pride and satisfaction. We believe in focusing on the basics by listening to what our customers require such as good service, products, facilities and value for money plus rewarding our staff for all the effort they put in to make sure this is possible. Our branches are perfectly located in the Hampshire and Dorset areas. 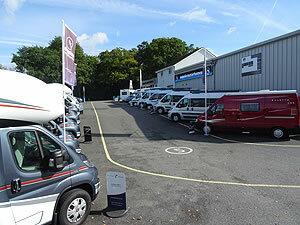 Both sites have full sales and servicing facilities available on site and we are easily accessible. The Hampshire site is situated less than 1 mile from the M27 Junction 8. The Dorset site is located on the Main A35 in between Christchurch and Bournemouth. There are plenty of local attractions nearby to both sites to tie in with your visit. All of our vehicles are kept unlocked leaving you to browse at your leisure, guaranteeing you a friendly welcome in relaxed surroundings. 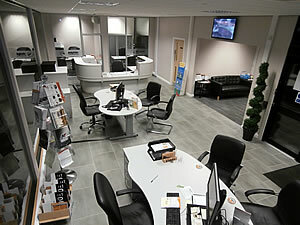 Once tired out you can pop inside our showrooms where we have a customer waiting area for you to take the weight off your feet by having a chat with our staff, or more importantly enjoy a refreshing cup of tea! At Dolphin we pride ourselves on our excellent choice and quality of all the New and Used vehicles we have for sale which will suit all sizes, shapes & pockets!! If size is important to you, then our superb selection of new vehicle franchises caters for every need, and are all manufactured in the UK. Our Auto-Trail products continue to go from strength to strength with their varied range of superb high quality and luxurious van conversions and coachbuilts. New and exclusive in 2014, the Elddis Envy has surpassed all expectations and become Dolphin’s best-selling range. Based on the Accordo and Autoquest models, the range is going from strength to strength with ten models this season. The Exclusive Swift Spirit Range has been introduced for the 2018 Season and features a range of nine coachbuilts and four van conversions. We specialise in purchasing and retailing a wide range of quality pre-owned motorhomes from most of the leading UK manufacturers, with our prices varying from £10,995 to £79,995. Rather than just relying on what part exchanges we take, at Dolphin we buy the majority of our used stock from private customers and other large dealerships. This enables us to 'cherry pick' some of the most desirable models and offer better value for money. 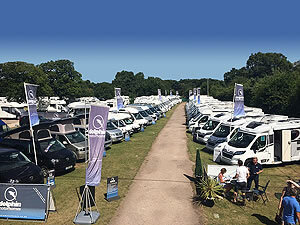 If you should be looking to purchase a particular model or layout that suits your requirements, we can use this buying power to source the motorhome of your choice. 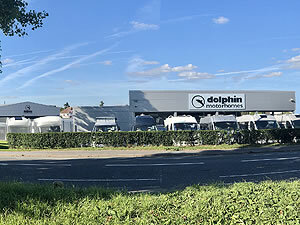 As well as our excellent selection of new and used motorhomes available at either of our prestige sites and showrooms, we can also offer a range of services that enables Dolphin to be very much a 'One Stop Shop'. We are open seven days a week (including bank holidays) and are happy to offer daily test drives and full working demonstrations. We will be delighted to take in a variety of part exchanges (see part exchange section for more information) and with the support of Black Horse we are able to provide funding packages that are tailored to suit your needs (subject to status). Our sales staff can also provide quotations or information for motorhome insurance, through our associated insurance specialists (Safeguard). We have full motorhome servicing facilities on site that can look after your vehicle both mechanically and on the motorhome habitation side. 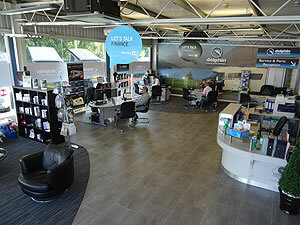 Our sales or workshop staff will be more than happy to discuss the motorhome accessories available. Not only do our staff have years of experience and have undergone comprehensive training, they also have a very close affinity with the industry and its customers. Some of the staff have previously owned motorhomes themselves so share your passion and enthusiasm for the open road, but we do so with a friendly and honest approach and more importantly a sense of humour. We appreciate that purchasing a motorhome can be a large investment; therefore, we take great pride and satisfaction in ensuring our customers receive the service they deserve, by being patient and taking time to listen to their needs. Our aim is to 'treat all of our customers, how we like to be treated ourselves', and to make sure that we give ourselves the best chance of establishing a long term relationship with that customer and hopefully this will enable us to do some further business in the future. As mentioned previously, Dolphin has the buying power to ensure our new and used vehicle prices continue to boast exceptional value for money. But not only is it important for us to offer all of our stock at competitive prices, but to maintain good part exchange valuations making your difference to change as small as we can. We will be as fair and honest as possible with you, and we receive a lot of positive comments from customers and visitors to our branches complementing our quality of stock and their excellent value for money compared to other dealerships. Of course it's very easy to treat customers well when they are looking to purchase a vehicle, but rest assured we are here to offer you the best possible help and advice before and after you have taken delivery. If you should have a query and need to contact us we don’t have an automated telephone system; you will be passed to the relevant person and not through various departments. We pride ourselves on looking after all of our customers, and we are very proud to receive a very good response in the 'Customer Satisfaction Questionnaires' we send out three weeks after you have taken delivery. Please view our 'Customer Comments' section for more information. 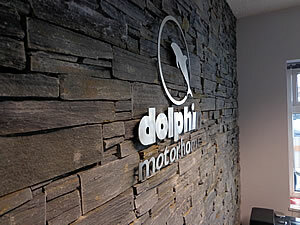 We would like to think that Dolphin can offer all of our current and potential customers complete peace of mind. We have the experience, reputation, facilities, choice, products and staff to give you the service and back up that your much valued custom deserves. 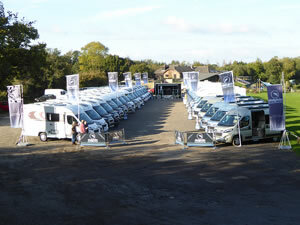 When all of our customers collect their motorhomes from us, we carry out a full working demonstration and handover to ensure they have a good insight into how their new vehicle operates. This usually lasts for up to two hours. However, we do appreciate that from time to time we don’t manage to get it right first time. So if you should need to bring the vehicle back to us so we can rectify any problems, we can offer you a free courtesy car. Dolphin is committed to establishing an investment in people as well as products and premises. Our promise is to aim for constant improvement and to raise our standards at every opportunity as we aim to get better. We will also look at the possibility of expansion if and when the time comes, but will maintain our focus on ensuring that we remain 'big enough to deliver, but small enough to care'.